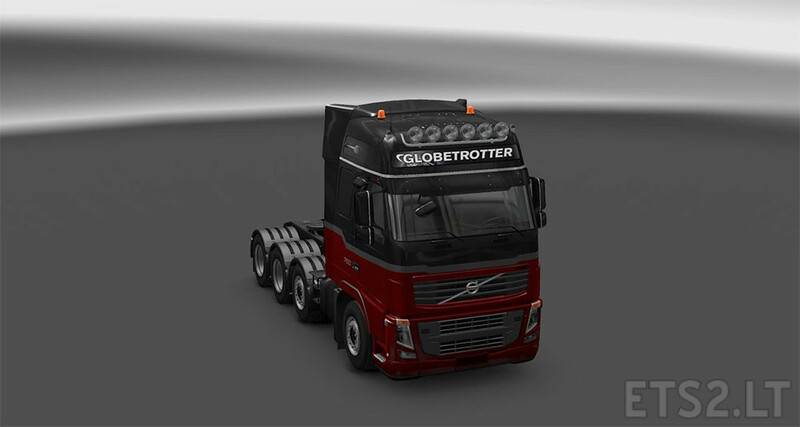 This mod includes many new items for ohaha’s Volvo FH16 Classic with the goal of offering more heavy and specialised haulage focused options for ohaha’s awesome truck. This mod still fully requires ohaha’s truck as it is merely an addon mod. It will add additional items to his truck but will not replace or modify existing items. The primary focus when building this truck was to make myself a custom 8×4 chassis and while ohaha did include an 8×4 chassis for his truck it was not the type of 8×4 I prefer. As such I started to make a private mod that would offer my preferred type 8×4 chassis. I also tuned it and configured it so it could easily haul trailers that are in excess of 80t without losing traction while also being able to offer a better turning circle under heavy load. Since then I’ve decided to release it publicly so others may benefit from the mod! This mod is still being made and tweaked so updates may be frequent for a while. This mod will be put on workshop once it’s out of Beta and “stable”. 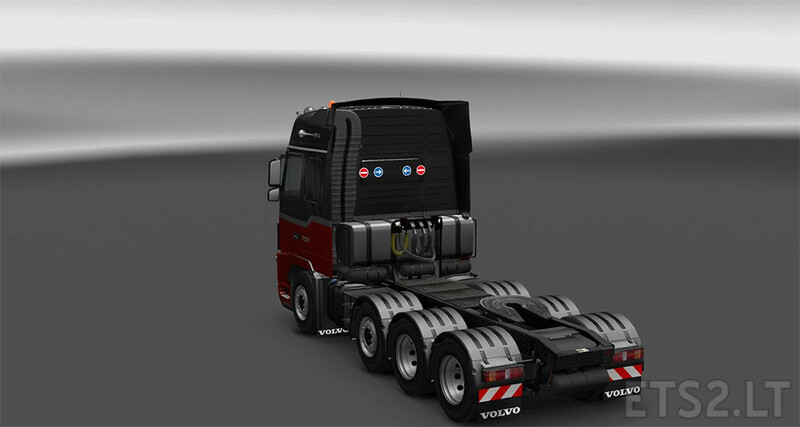 – SCS for making this mod possible! – ohaha for his awesome FH16 classic and for allowing me to make this mod! – GT-Mike for his support! – SimulatorSam for his support! 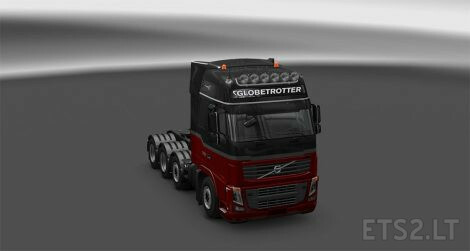 I really like heavy haulage trucks and this one is nice. I only have two requests for you for future versions: can you make the first axle of the three liftable? and also the fuel tank in the back of the cab is nice, but can you add a toolbox above it? what version of truck for the base mod? link?